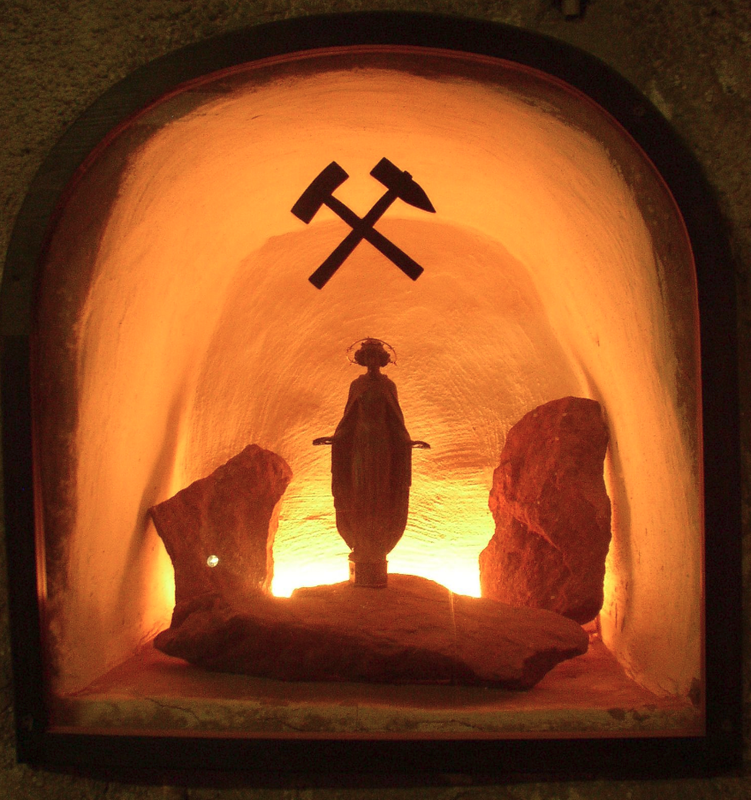 News from the interface between the infinite istropic half-spaces of geoscience and technology. Got tips? Matt was at the SEG Annual Meeting in Las Vegas at the beginning of the month. If you didn't make the trip, and even if you did, Don't miss his highlights posts. This is exciting. Subsurfr could be the start of a much-needed and long-overdue wave of rapid web innovation for petrotechnical tools. Much kudos to tiny Wellstorm Development for the bold initiative; it makes you wonder what on earth Halliburton and Schlumberger are up to. Right from your browser, you can fly around the subsurface of North Dakota, see logs, add picks, build surface segments, and provide the creators with feedback. Try it out! OpendTect goes from strength to strength, having passed 100 000 downloads on about 11 November. If you haven't tried it yet, you really should. It's like all those other integrated volume interpretation tools, with the small difference that it's open source-you can read the code. Oh, and it's free. There is that. Paul de Groot, one of the founders of dGB, told me at SEG that he's been tinkering with code again. He's implemented GLCM-based texture attributes, and it will be in the open source base package soon. Nice. Landmark's PowerCalculator was good. Geocraft was awesome. Now there's Canopy - Enthought's attempt to bring Python coding to the rest of us. The idea is to provide a MATLAB-like environment for the galaxy of mathematical and scientific computing packs for Python (numpy, scipy, matplotlib, to name a few). It's in beta right now — why not ask for an invite? Even more exiciting for geophysicists — Enthought is developing a set of geoscience plugins, allowing you to load SEGY data, display seismic, and perform other nifty tricks. Can't wait. BP won licenses in the latest offshore exploration round (NS12–1), in exchange for a $1.05 billion work bid on 4 deep water parcels. This is in line with Shell's winning bid last January of $970 million, and they also added to their acreage — it seems there's an exploration renaissance happening in Nova Scotia. After the award, there were lots of questions about BP's safety record, but the licensing rules only allow for the highest bidder to win — there's no scrutiny of suitability at this stage. Awarding the license and later denying the right to drill seems a bit disingenuous, however. Water depth: up to about 3500 m! This regular news feature is for information only. We aren't connected with any of these organizations, and don't necessarily endorse their products or services. Except OpendTect and Canopy, because they are awesome and we use them almost every day. Students... take the FIELD challenge! This news just in (thanks Jesper!) — I knew all about the AAPG Imperial Barrel Award, but hadn't heard of EAGE's equivalent before — the FIELD Challenge. Applications must be in by 15 December. Another month flies by, and it's time for our regular news round-up! News tips, anyone? 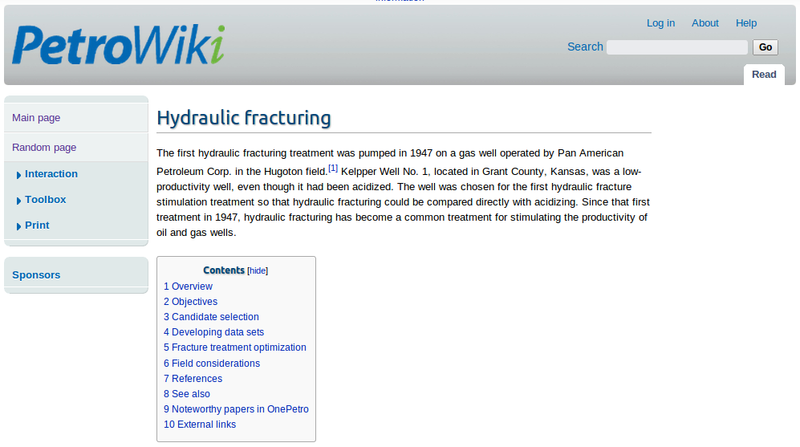 At the start of the month, SPE launched PetroWiki. The wiki has been seeded with one part of the 7-volume Petroleum Engineering Handbook, a tome that normally costs over $600. They started with Volume 2, Drilling Engineering, which includes lots of hot topics, like fracking (right). Agile was involved in the early design of the wiki, which is being built by Knowledge Reservoir. 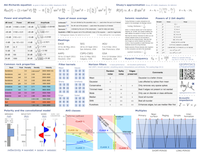 Our cheatsheets are consistenly some of the most popular things on our site. We love them too, so we've been doing a little gardening — there are new, updated editions of the rock physics and geophysics cheatsheets. Thank you so much to the readers who've let us know about typos! We just upgraded a machine from Windows to Linux, sadly losing Spotfire in the process. So we're on the lookout for another awesome analytics tool. VISAGE isn't quite what we need, but you might like these nice graphs for oil and gas. Last month we missed the newly awarded exploration licenses in the inhospitable Beaufort Sea [link opens a PDF]. Franklin Petroleum of the UK might have been surprised by the fact that they don't seem to have been bidding against anyone, as they picked up all six blocks for little more than the minimum bid. It's the SEG Annual Meeting next week... and Matt will be there. Look out for daily updates from the technical sessions and the exhibition floor. There's at least one cool new thing this year: an app! This regular news feature is for information only. We aren't connected with any of these organizations, and don't necessarily endorse their products or services. 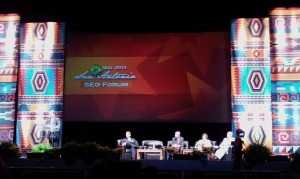 The SEG Forum was the main attraction on Day 1 of the SEG Annual Meeting in San Antonio. Several people commented that the turnout was rather poor, however, with no more than 400 people sitting in the Lila Cockrell Theatre, even at the start. Perhaps the event needs more publicity. There was plenty of time for questions from the audience, all of which the panel discussed quite candidly. David Lawrence, Executive VP of Exploration and Commercial at Shell gave, predictably, a rather dry corporate presentation. We understand how presentations like this get hijacked by lawyers and corporate communications departments, but wish more executives would stand up to their captors, especially for a short presentation to a technical audience. Despite his shackles, he had some eyebrow-raising technology to brag about: futuristic autonomous-vehicle marine nodes, and a million-channel sensor network, a project development they're developing with HP, of all companies. Tim Dodson, Executive VP of Exploration at Statoil and once Matt's boss there, seemed similarly held captive by his corporation's presentation sanitizers. Saved by his charisma, Tim characterized Statoil's steady approach in exploration: deep pockets, patience, and being comfortable with risk. They seem to have the same approach to technology innovation, as Tim highlighted their Source Rock from Seismic method for characterizing source rocks and the high-resolution spectral decomposition technology we wrote about recently. Both projects took several years to develop, and have paid off in discoveries like Aldous and Skrugard respectively. Susan Cunningham, Senior VP of Exploration at Noble Energy, spoke about her company's approach to frontier exploration. Despite her chronic use of buzz-phrases (innovative thinking, integrated objective assessment, partner of choice), Susan gave a spirited outlook on the human angles of Noble's frontier thinking. She discussed Noble's perseverance in the Eastern Mediterranean 8.5 Tcf Tamar discovery in the Levant Basin, and went on to describe Noble as a large company in a small company framework, but we're not sure what that means. Is it good? Carl Trowell, president of WesternGeco and the youngest panelist, was the most engaging (and convincing) speaker. Shell's corporate communications people need to see presentations like this one: more powerful and trustable for its candid, personal, style. As you'd expect, he had deep insight into where seismic technolology is going. He lamented that seismic is not used enough in risk mitigation for frontier wells; for example, borehole seismic-while-drilling, imaged in the time it takes to trip out of the hole, can help predict pore pressure and other hazards in near-real-time. His forward-looking, energetic style was refreshing and inspiring. It was a slightly dry, but basically up-beat, kick-off to the meeting. Some high-altitude perspective before we helicopter down to the nitty-gritty of the talks this afternoon.